Home Clinical and Disease Is Aspirin an Ergogenic Aid? Ergogenic \ˌər-gə-ˈje-nik\ adjective: To enhance or improve physical performance and recovery, as in ergogenic aid. Greek: ergon, to work. People are always searching a way to boost their performance. Over the past decade, the news has been littered with stories about professional athletes’ reliance on performance-enhancing drugs (PEDs) to get ahead, legal or not. In fact, 63% of athletes participating in the 2007 XV Pan-American Games admitted to using some type of PED. But not all PED’s are bad. Synthetic erythropoietin (EPO) and steroids aside, safe supplements taken to increase muscular recovery or promote optimal fuel use are can be quite beneficial. But a lot of ambiguity exists in the supplement world. The Food and Drug Administration does not regulate their production and marketing the same as they do for conventional foods. A problem therefore arises with this question: Do the supplements actually do what they claim? Like many sources of information in the health and fitness world, you could be listening to some flappy-jawed gab on the end of a giant game of telephone – especially when it comes to supplementation. But hopefully, you seek to custom-build your house of knowledge out of creditable sources, with a roof protecting your head from junk science, and a very, very selective revolving door. If the benefits are informed effort (which is why you are here), the reward will materialize in physical and mental gains. Rumor has it, various non-steroidal anti-inflammatory drugs (NSAIDs) and pain killers have positive ergogenic effects on performance. In fact, of the 63% of PED users at the Pan-American Games, 64% of them were using some type of NSAID as a prophylactic analgesic. But, how do aspirin and other NSAIDs affect the body during exercise – what does the science say, and how do they really affect performance? How does aspirin work? 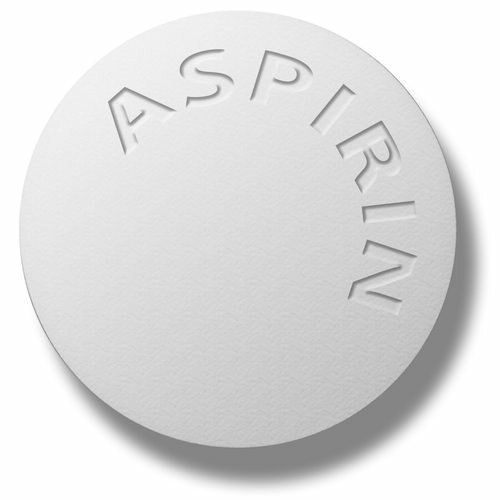 Aspirin is a commonly used analgesic and anti-fever drug. It is taken to treat a headache, and often prescribed by physicians to individuals suffering from athersclerosis, cardiovascular disease, and used to prevent major cardiovascular events (heart attack, stroke). Because of it’s positive clinical benefits, Bayer has dubbed it “The Wonder Drug.” The active ingredient was originally derived from salicylate, a compound found in willow bark, historically noted for it’s pain-relieving and fever-reducing effects. 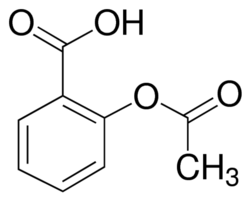 In 1853, a French chemist named Charles Frederic Gerhardt first synthesized acetylsalicylic acid, a modified version of the original compound. This modification would later be discovered to give aspirin it’s anticoagulant properties, and is the same medication we use today. Aspirin has many pharmacological uses. As an antiplatelet drug, it prevents platelets from aggregating (clumping together), impairing the formation of clots. This is how the drug “thins blood,” and the primary reason it has been selected for use as a prophylactic. It also inhibits the enzyme cyclooxygenase (COX), preventing the release of prostaglandins and thromboxane, important molecules that systemically regulate inflammation and coagulation. Let’s dive into aspirin’s role in exercise physiology and performance. 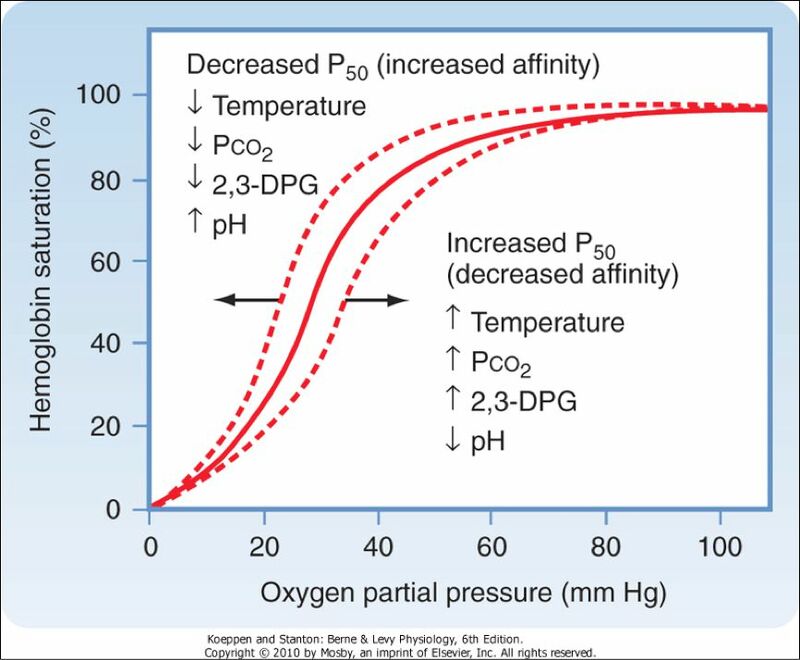 Oxygen saturation: Based on what was explained above, acetylsalicylic acid prevents clotting and inflammation. The aspect of oxygen saturation is being addressed because some individuals that travel to altitude take an aspirin dosing regimen for a week or two prior to their ascent, which will be explained. First, the physiological mechanisms of the drug do not involve red blood cells (RBCs), hemoglobin (Hb), transferrin or iron. As far as affecting oxygen saturation of the blood, aspirin is hands-off. Properties of the blood that have to do with oxygen saturation and carrying capacity include 2,3-DPG, temperature, Hb mass, plasma volume, iron levels and availability (think: anemia), as well as cardiovascular output. The molecule 2,3-DPG is what is responsible for ensuring that Hb off-loads oxygen, promoting diffusion of the gas into the cell for aerobic metabolism. So, how is aspirin a benefit to those who travel to altitude? Remember, it is an antiplatelet drug. When you are exposed to higher elevations (>6,000 ft, for example), your body will initially lose plasma volume by way of diuresis (increased urination) and a shifting of fluid out of the blood stream. This increases blood viscosity. Aspirin can have a clinical prophylactic affect, especially for those at risk for cardiovascular disease/atherosclerosis. By helping to alleviate platelet aggregation in the blood, headaches and acute mountain sickness (AMS) may be prevented in some individuals, helping the body to adapt. Injury and attenuation of protein synthesis: Because of their anti-inflammatory properties, repetitive use of NSAIDs have been shown to negatively affect long term muscular gains. Protein synthesis is attenuated by the drugs’ inhibitory affects on mRNA translation in cells (the molecule that dictates what proteins are to be made). In addition, the inhibition of the COX-prostaglandin [(PG)F2α] cascade disallows for progressive overload adaptation to training, as it is a signaling pathway necessary for muscular modifications. The athletic population, whether elite or recreational, has a higher prevalence of soft-tissue injury than non-athletes or exercisers. Injuries include muscular strains, ligament and tendon sprains and tears, and delayed onset muscle soreness (DOMS), just to name a few. DOMS is common in the recreational athletic population. DOMS, the soreness felt 24-72 hours after strenuous exercise, is caused by an overload of force, leading to tissue injury, localized edema and pain (it has nothing to do with lactate – read our article here). It is too common of a practice for many athletes to resort to taking an NSAID than allow for proper recovery of any overuse or acute injury. Part of the natural recovery process is inflammation. Studies have shown that drugs blocking the COX-2 pathway have inhibitory effects on muscular injury healing and tissue regeneration. The clearing away of damaged and infected cells can be also inhibited by drug use, as it is a part of the natural inflammatory response. A study analyzing hamstring strain in 75 patients concluded that treatment with NSAIDs did not provide any reduction in symptoms compared to those who did not receive drugs, and did not enhance the outcomes of physiotherapy. In addition, many studies have failed to conclude the benefits of taking NSAIDs to assist with DOMS, and have again shown to inhibit protein synthesis and muscular hypertrophy. Inhibition of nitric oxide (NO) production. This is great as far as the anti-inflammatory purposes of the drug are concerned – higher doses of aspirin have been shown to block the expression of NF-κB, a protein complex that regulates certain cell signaling molecules, as well as DNA transcription. NF-κB activates iNOS (nitric oxide synthase), the enzyme that catalyzes the synthesis of NO. Because NO increases blood flow when released, it can have a proinflammatory role, and in certain cases it is beneficial that aspirin inhibits this process. This is especially important for people suffering from autoimmune diseases, such as rheumatoid arthritis. However, on a separate but related note, sedentary lifestyles are correlated with increases in vascular stiffness and a higher risk of cardiovascular disease. NO production is absolutely intrinsic to good vascular health, and exercise further improves this relationship. Arterioles in the muscular bed are intrinsically regulated by many factors, including the sympathetic nervous system. This ensures that the right amount of blood is reaching the muscles depending on the metabolic demands. At rest, skeletal muscle receives approximately 20% of blood flow from the heart. When metabolic demands increase after the onset of exercise, blood flow must increase to the areas needed most – working muscle being a major target. Muscles receive up to 80% of blood flow during exercise! To do this, the arterioles must vasodilate (increase their diameter), and they do this automatically, responding to local changes in the muscle tissue – higher CO2 production, lower pH, increases in NO, etc. NO is a potent vasodilator, and the stresses of exercise on the vascular wall (the vascular endothelium) trigger the release and regulation of NO, allowing for increased oxygen and fuel deliver to muscle, and removal of metabolic byproducts. With habitual exercise, cardiovascular function improves over time, with studies showing improvements in vascular dilation in just one week. pH buffering: Unfortunately, rumor also has it that aspirin helps performance because it is basic, and therefore counteracts the drop in intramuscular pH that results during hard or prolonged efforts. Let’s go backwards for a second to find the correct answer: The major active component of aspirin is acetylsalicylic acid – a weak acid. It will not help buffer your pH. The molecular structure for acetylsalicylic acid, the active component in aspirin. The analgesic affects of NSAIDs give way to their highly sought after use as a PED by many athletes. However, whether or not performance is enhanced, whether it be increased by endurance or pain tolerance, is the real question. A recent double-blind, randomized-controlled trial analyzed the affect of NSAIDs (ibuprofen) as an ergogenic aid in 20 male long distance runners. The researchers concluded that administration of the drug as prophylactic treatment for pain did not help with neither pain nor provide any performance improvements (De Silva, et al., 2015). The use of aspirin did not enhance performance in 18 individuals who performed a graded maximal aerobic capacity (VO2max) test on a cycle ergometer. The study included two groups, 9 untrained but active people and 9 trained athletes. Each group performed the graded test through three treatments on three separate occasions, blinded: plain aspirin, chewable buffered aspirin, or a placebo. Aspirin did not affect any measured physiological variables during the duration of the test. A study published by the National Strength and Conditioning Association tested the effects of aspirin and caffeine on endurance, perceived pain and exertion during light resistance training. Subjects took a prophylactic dose of aspirin, caffeine or a placebo an hour prior to performing resistance training to volitional failure. Aspirin did not increase the number of performed repetitions in any of the resistance training sets when compared to placebo, and offered no performance benefit. Investigators incorporated an analysis of aspirin’s affects on muscular pain in a study validating assessment tools used to measure pain during exercise. 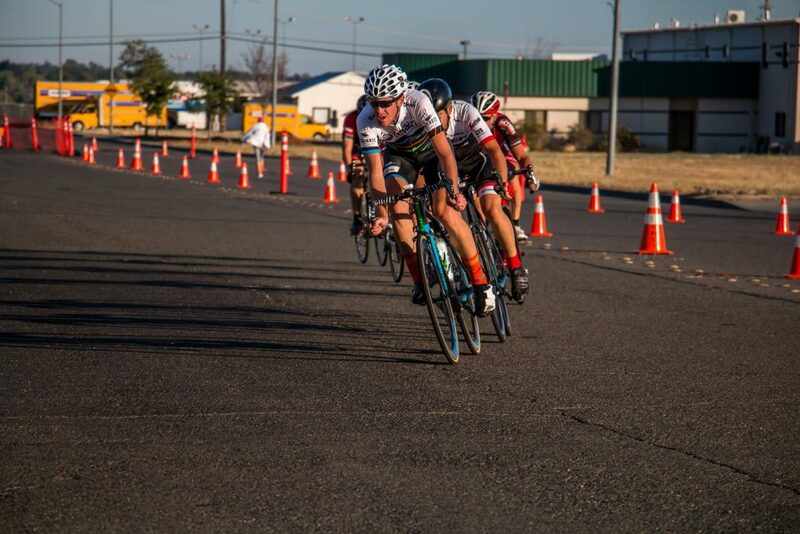 The research analyzed leg pain perception during high intensity cycling exercise, and based their conclusions on an array of collected experimental evidence. They found that the perception of leg muscle pain was not affected by aspirin ingestion prior to the exercise bout (Cook et al., 1997). Although we can’t list every study ever done on this topic (or any other topic, for that matter), we can say that the hypothesis of performance enhancement regarding these drugs has been debunked many times. Ergogenic aid – doubt it. Aspirin does not appear to have any scientifically-supported physiological benefits to enhance endurance performance. Aspirin shouldn’t have any negative, long-term implications on hard efforts, since it isn’t affecting red blood cell (RBC) count or plasma volume. Taking a daily low-dose of aspirin for 1-2 weeks prior to high altitude exposure may have clinical benefits, preventing the onset of AMS. Taking NSAIDs has been shown to attenuate protein synthesis. Long term effects of use will affect muscular adaptation to training when compared to those who do not use NSAIDs regularly. It does not positively affect pH or buffer pH during long or hard efforts. 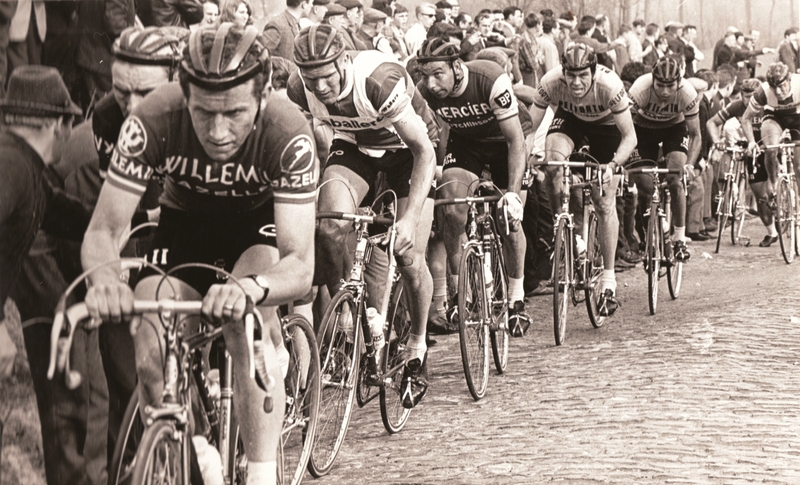 Cyclists competing in the 1968 Ronde van Vlaanderen (Tour of Flanders). Alaranta, A., Alaranta, H., & Helenius, I. (2008). Use of prescription drugs in athletes. Sports Medicine, 38(6), 449-463. Bondesen, B. A., Mills, S. T., Kegley, K. M., & Pavlath, G. K. (2004). The COX-2 pathway is essential during early stages of skeletal muscle regeneration. American Journal of Physiology-Cell Physiology, 287(2), C475-C483. Cook, D. B., O’Connor, P. J., Eubanks, S. A., Smith, J. C., & Lee, M. I. N. G. (1997). Naturally occurring muscle pain during exercise: assessment and experimental evidence. Medicine and science in sports and exercise, 29(8), 999-1012. Da Silva, E. R., De Rose, E. H., Ribeiro, J. P., Sampedro, L. B. R., Devos, D. V., Ferreira, A. O., & Kruel, L. F. M. (2009). Non-steroidal anti-inflammatory use in the XV Pan-American Games (2007). British journal of sports medicine, bjsports65342. Da Silva, E., Pinto, R. S., Cadore, E. L., & Kruel, L. F. (2015). Nonsteroidal anti-inflammatory drug use and endurance during running in male long-distance runners. Journal of athletic training, 50(3), 295-302. Hudson, G. M., Green, J. M., Bishop, P. A., & Richardson, M. T. (2008). Effects of caffeine and aspirin on light resistance training performance, perceived exertion, and pain perception. The Journal of Strength & Conditioning Research, 22(6), 1950-1957. Kwon, G., Hill, J. R., Corbett, J. A., & McDaniel, M. L. (1997). Effects of aspirin on nitric oxide formation and de novo protein synthesis by RINm5F cells and rat islets. Molecular pharmacology, 52(3), 398-405. Maiorana, A., O’Driscoll, G., Taylor, R., & Green, D. (2003). Exercise and the nitric oxide vasodilator system. Sports Medicine, 33(14), 1013-1035. Miner, J., & Hoffhines, A. (2007). The discovery of aspirin’s antithrombotic effects. Texas Heart Institute Journal, 34(2), 179. Powers, S. K., & Howley, E. T. (2004). Exercise physiology: Theory and application to fitness and performance (pp. 362-364). New York: McGraw-Hill. Reynolds, J. F., Noakes, T. D., Schwellnus, M. P., Windt, A., & Bowerbank, P. (1995). Non-steroidal anti-inflammatory drugs fail to enhance healing of acute hamstring injuries treated with physiotherapy. South african medical journal – cape town medical association of south africa, 85, 517-517. Roi, G. S., Garagiola, U., Verza, P., Spadari, G., Radice, D., Zecca, L., & Cerretelli, P. (1994). Aspirin does not affect exercise performance.International journal of sports medicine, 15(05), 224-227. Silva, A. M., Wang, D., Komar, A. A., Castilho, B. A., & Williams, B. R. (2007). Salicylates trigger protein synthesis inhibition in a protein kinase R-like endoplasmic reticulum kinase-dependent manner. Journal of Biological Chemistry, 282(14), 10164-10171.
aspirin, cycling, doping, ergogenic aid, nitric oxide, NSAID, training. Bookmark.